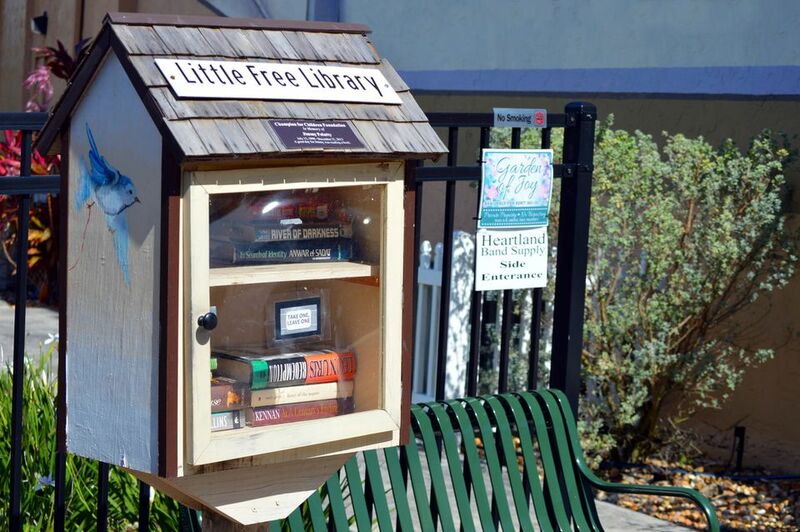 These Little Free Library plans will help you build your own library right in your neighborhood so you can share your love of books with everyone you know. The Little Free Library project has been sweeping the nation for years now, encouraging anyone and everyone to put up a Little Free Library in their community. At a Little Free Library, anyone can take a book and leave a book so they can get something new to read and share books that they love with their neighbors. Building a Little Free Library a fairly easy woodworking project that's light on the wallet and doesn't take a lot of time. The free plans below include diagrams, photos, and building instructions so you can easily build your own Little Free Library. After you've built your own Little Free Library, be sure to make it official so you can get it officially listed and get lots of tips on how to make it successful. 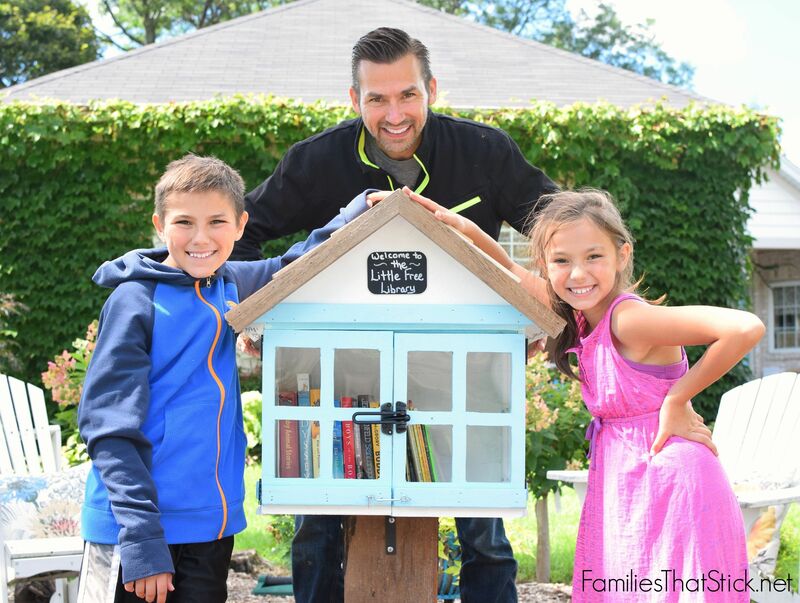 Families That Stick has designed this very cute little library plan that resembles a little house put on a simple post that can be put right in your front yard. The plan includes written directions, a cut and material list, color photos, and tips for building your own little free library. You can really make it your own by painting it and adding a little sign to the front. Instructables has this little free library plan that has step-by-step instructions and real images to help you along the way. I like this plan because it lists all the materials and tools required to build the entire library, from start to finish. You'll get a small and simple Little Free Library that will look great in your yard or community. Boys' Life has designed a little free library plan that you can download and use for free. This little free library uses recycled materials such as pallets or old fencing to make the walls, roof, and floor. A few other materials are needed but this is a quick project that even a young man can tackle. Besides a supply list, ​there are written instructions and clearly labeled diagrams to make this a fun afternoon or weekend project. This is another free little library that supports five spaces that could be used for books as well as things like art, plants, or maps. Build this little free library by following along with the diagrams and instructions in this 10-page PDF. Your neighbors will be amazed at the unique little free library that took you only a few hours to build. Shannon Harvey's plan for a little free library is much easier to build than some of the others on this list. It simply consists of two walls and some shelves. The 2-page PDF gives all the components you'll need to build the library, and even codes them with letters of the alphabet so you can refer to them in the instructions. This is a unique little free library plan that describes building a library in a tower like you see in the picture. The books are stacked together on a shelf on the inside, and you can look through the holes to see them and duck inside to take them. Assembly diagrams and notes are included in this PDF, as well as a full materials list. This is a plan from the official Little Free Library website that comes as a 5-page PDF file. The library stands at just over 2 feet tall supported by a five-foot post, and it uses plexiglass. It's modeled after an Amish cabin and is cute as can be. Throughout the plan are illustrations and dimensions for building every part of the little library.